Longs to be gracious. I like the ring of that. We’re also repeatedly told that “His love endures forever” which means the Lord is gracious for long. That’s what former pit-dwellers like me must have. We need a Deliverer who is in for the long haul. Philippians 1:6 tells us that God, who began a good work, is faithful to complete it. Frankly, work doesn’t get harder than pit-dweller pulling. Man, who may begin a good work, wears out too fast to finish it. And rightly he should. It’s not his job. True delivery takes some time, some titanic effort, and more patience than the best of people possess. You and I need a strong arm and a long arm. He has delivered us… He will deliver us. On Him we have set our hope that He will continue to deliver us. Past. Present. Future. That’s the kind of deliverance from the pit you and I are looking for. We’ve got to have a lifetime warranty. The “Sovereign Lord” alone is “my strong deliverer” (Psalm 140:7). Everybody else will wear out. They may pull us out of that pit and even hang around a while to push us away when we try to get right back in it. But eventually their backs will give out. And when they do, we’re liable to be mad at them. In fact, we might not speak to them for years. They let us down. I’m sure I’ve worn people out, and I’ve been worn out. A fellow human may have initially pulled us out of a pit, but somewhere along the way, he or she accidentally sold us into the slavery of nearly debilitating disappointment. Even subtly encouraged yet unmet expectations can be devastating. When it happens, we reason that we might as well have stayed in the pit. Tragically, countless relationships end exactly that way. I wouldn’t for a minute minimize the pain of a relationship broken by unreasonable – or at the very least, unsustainable – expectations. When such a close and dependable relationship is injuriously severed, the knife penetrates to the exact depth we’ve invited them into our private lives. Indeed, one of the primary reasons we’re so wounded is because the person knew what we were going through and still abandoned us. What I’m about to say can be painful to hear, but I pray that God will use it toward someone’s healing: sometimes a person abandons us not in spite of what we’re going through, but directly because of it. They either ran out of answers or they ran out of energy and no longer had the wherewithal to go through it with us. If our helping friends actually did something that overtly wronged us, they bear responsibility before God for that. But if they wronged us only by running out of fuel and dropping out of the struggle, we might need to realize they’ve done all they felt they could humanly do and let them go without bitterness or anger. The problem comes when our idea of relationship becomes ownership – when we start thinking of the person who was willing to get into our mess with us as our personal trainer. Sometimes we latch onto someone for dear life who is no better off than we are. Christ asked in Luke 6:39: “Can the blind guide the blind? Shall they not both fall into a pit?”. Does this mean we should not get involved with hurting people? Not at all! 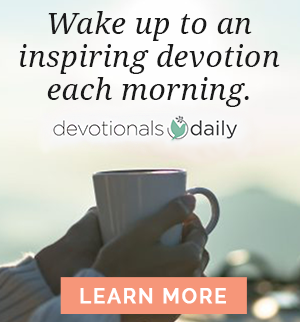 We may be hopelessly inadequate as deliverers for one another, but never think for a moment we can’t be used of God to affect profound change in someone’s life. That’s the primary reason He leaves us here on Planet Earth after our citizenship has transferred to heaven. We can have a tremendous impact over a life in the pit. First of all, we can impact pit-dwellers by example. We can show them that living outside the pit is possible by living that way ourselves. Second, we can impact pit-dwellers by prayer. 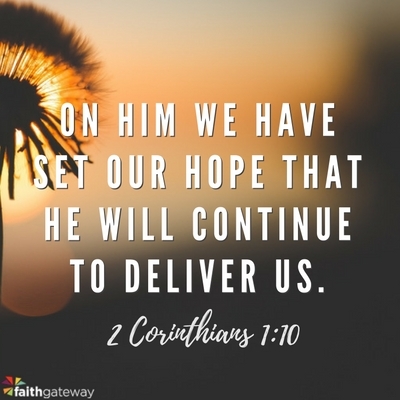 2 Corinthians 1:10-11 adds a vital tag to Paul’s testimony I quoted earlier concerning God’s past, present, and future deliverance of His children: “On Him we have set our hope that He will continue to deliver us as you help us by your prayers”. We have a God-given invitation – if not responsibility – to join the process of someone’s divine deliverance from peril or pit. When deliverance happens, the payoff is glorious. Satan has a tremendous investment in convincing a person that, with his or her track record, sustainable victory is impossible. That’s a lie. Say so. 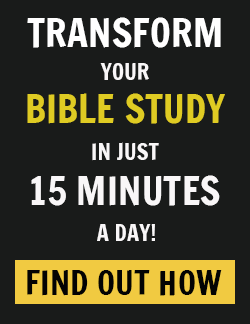 Fourth, we can impact pit-dwellers by doggedly directing them to Jesus. Like the men carrying the paralytic on the mat, do everything you can to “lay [the person] before Jesus” (Luke 5:18). All the while keep praying, encouraging, and living by example. And above all, keep telling her who the true Deliverer is. Keep pointing her toward the only One who will not let her down. Fifth, to the degree that God has developed biblical wisdom in us, we can impact pit-dwellers through our advice and counsel. Particularly those who have been well trained to do so. I am a huge proponent of godly professional counseling. Got it myself, and I’m not sure where I’d be without it. I needed to share things with an unbiased party. With someone who was bound by professionalism to keep my confidences. With someone who’d heard stories like mine before. I hear things from time to time that baffle me beyond any advice I know to give. I simply have no mental file from which to pull a ready answer. Also, I must keep in mind that professional counseling is not my job. Even the best of godly counselors have to guard against their counselees setting them up as deliverers. Wise counselors know from experience they’ll never live up to it. They also know they’d be nearly smothered to death if they tried. Yep, they’d be buried right there under the cell phone, beeper, Blackberry, letters, messages, and stacks of e-mail the counselee made use of in her relentless pursuit of her deliverer. I, even I, am the Lord, /and apart from Me there is no savior. No one else can handle the weight. They may try for a while. They may even like it for a while, because when someone looks up to you and depends on you, it can be heady. But sooner or later they will drop the rope. It’s too much to carry. Just like the men who lowered the paralytic through the roof of the home where Jesus was teaching, you finally have to let go of the rope and leave them with Jesus. Maybe this chapter wasn’t meant so much for you. I don’t know. Maybe you can’t think of a single time you made someone else responsible for your happiness… your wholeness… your fulfillment… your healing… your future. But then again, maybe some of the fog has cleared on a relationship you believed at one time would be a deliverance of sorts for you. Instead, you were left disillusioned or disappointed when that person dropped the rope. Possibly devastated. Maybe you’re beginning to see that this person wasn’t being heartless and hateful. Just human. Didn’t have what it took. Maybe you can allow God to bring you to the place to forgive that person for failing to be Jesus for you. Or maybe you should fire someone who still insists on trying. Maybe you – like me – can now forgive yourself for accidentally setting someone up for failure. Maybe that someone was you. And maybe both of us could just let Jesus be Jesus. What about you? Have you tried to help someone and taken on too much until you just couldn’t bear it anymore? Or have you put too much on someone else to rescue you from your hurt? Or maybe, like many of us, you recognize that you’ve done both. Come, join the conversation on our blog! We would love to hear from you about letting Jesus be the One and Only to get and keep us out of our pit and to rescue others out of theirs!